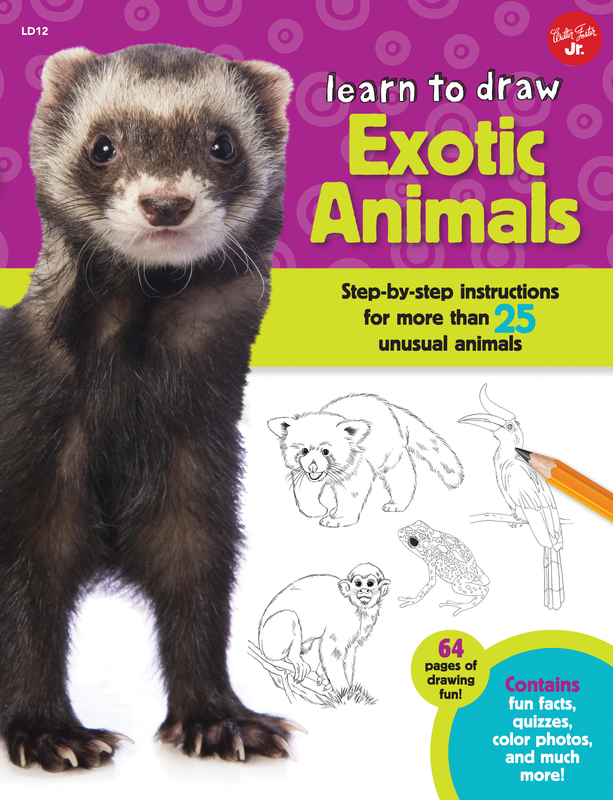 Perfect for young artists-in-training, Learn to Draw Exotic Animals offers a comprehensive drawing experience that includes step-by-step lessons, as well as full-colour photographs, fun facts, trivia, quizzes, and much more. Each drawing lesson begins with a basic shape, such as a square, a circle, or a triangle, and progresses to a finished colored piece of artwork, making it easy for children to follow along. Along the way, engaging text describes interesting facts about each exotic animal. Children will love learning to draw exciting animals, such as a degu, giant toad, walking catfish, squirrel monkey, and more!